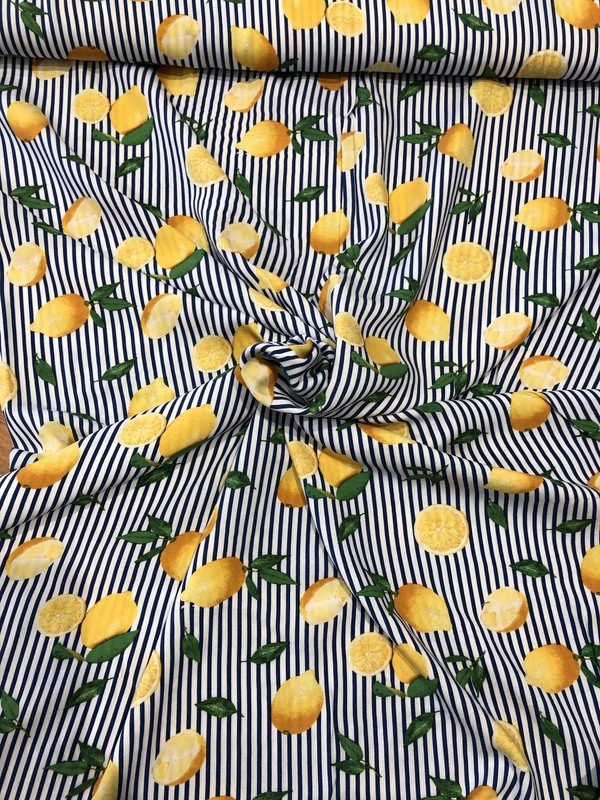 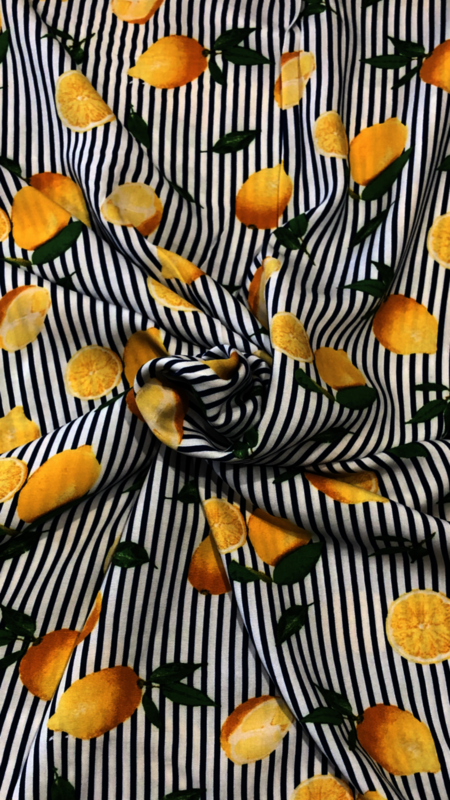 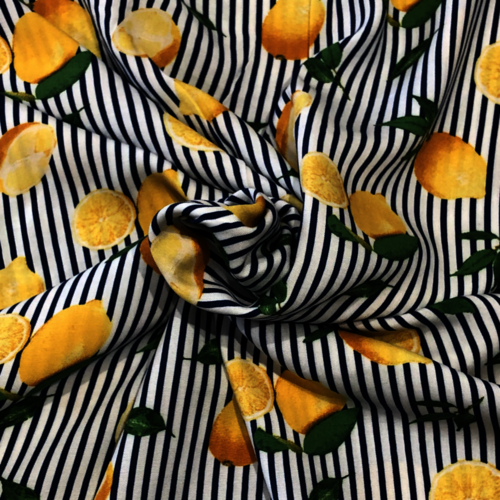 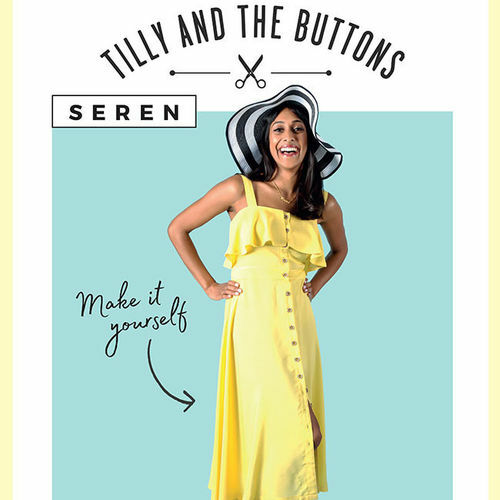 Introducing our When Life Gives You Lemons Viscose! 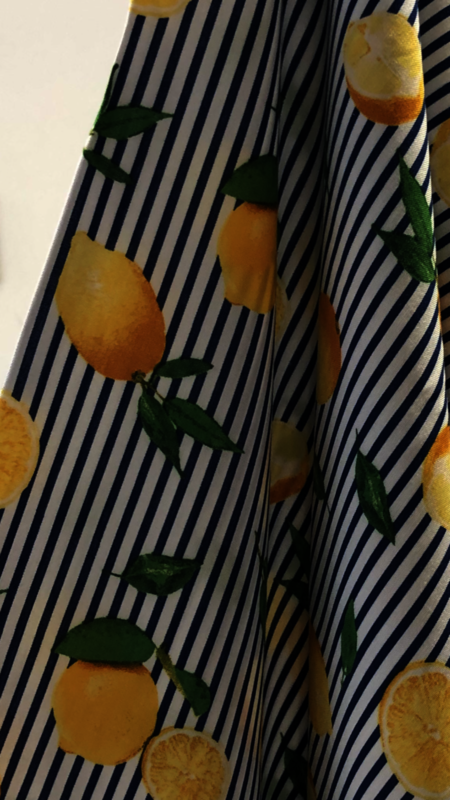 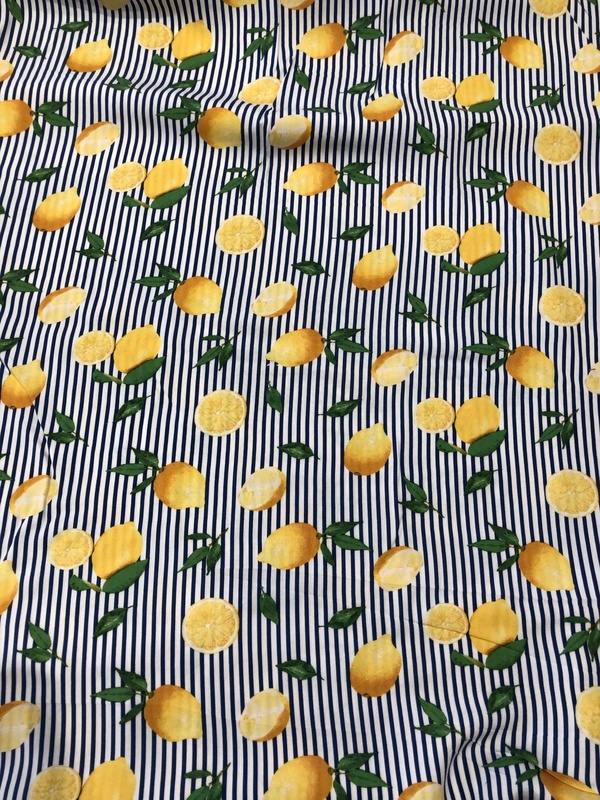 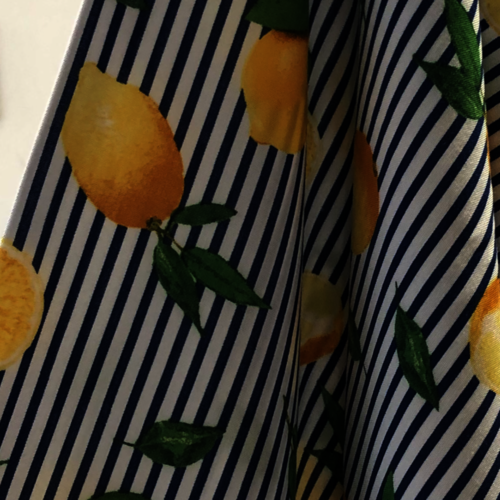 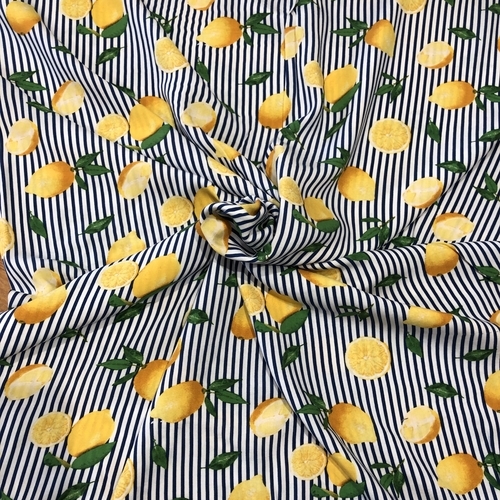 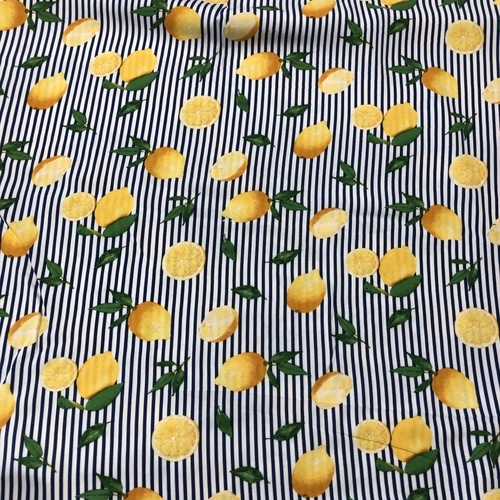 Juicy Lemons on a Navy and White Striped background. 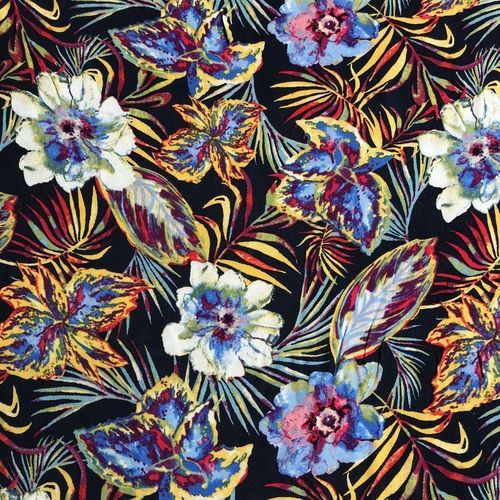 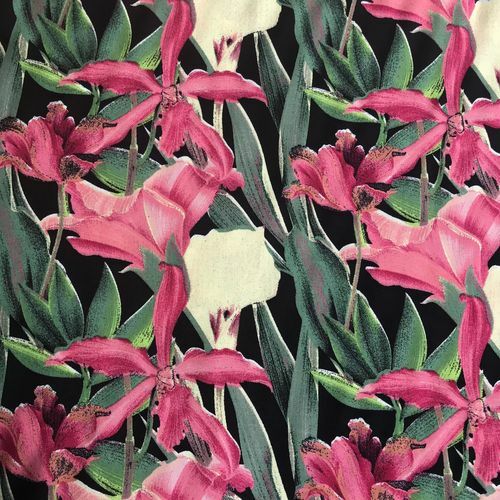 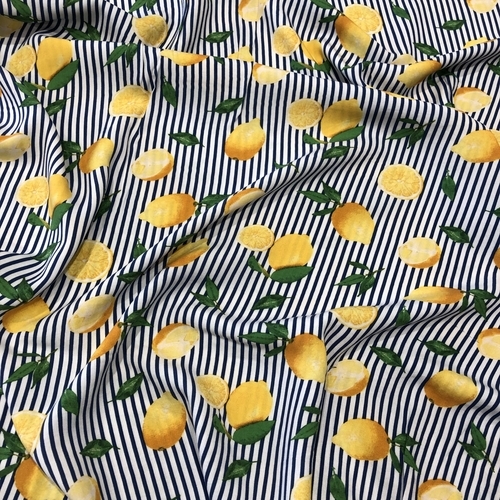 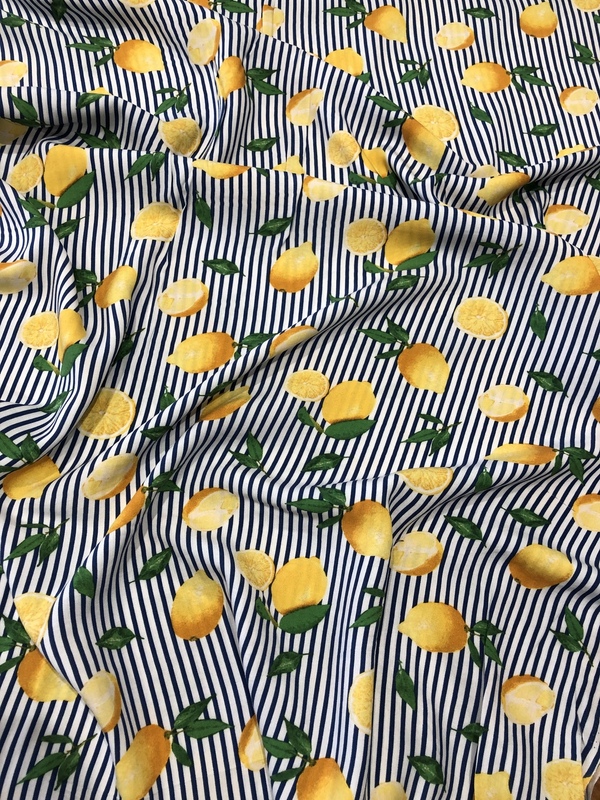 Imagine a Tilly And The Buttons Seren this gorgeous fabric!